Egg Tortillas make a fantastic alternative to tortillas in the traditional breakfast taco. 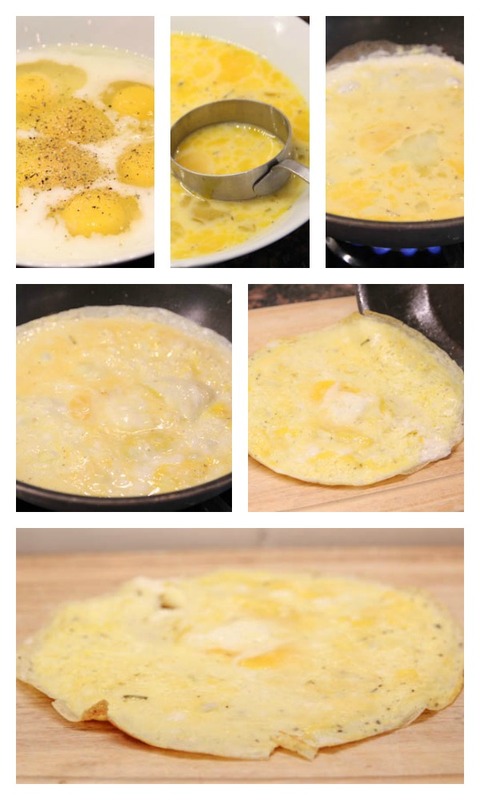 You start out cooking them like an omelet…except you use way less egg in the skillet so that they are thin enough to ‘roll’ and thick enough to hold cheese and other ingredients inside. Once you’ve made these egg tortillas, try them in our Ham & Cheese Breakfast Egg Tacos! Add eggs, milk and seasoning salt to bowl. Whisk. Let the eggs set over medium high and then gently tilt and spin the skillet allowing the eggs to set up along the edge as well. Shake the skillet slightly after the egg has set to prevent it from burning or browning too much, and to move the egg along the top to encourage it to cook. Reduce heat to medium low until the egg has cooked through. 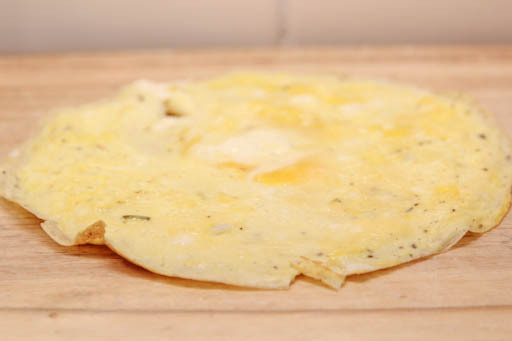 There is no need to flip, as the egg tortilla is thin and has cooked through. Slide the egg onto a clean surface or plate to load the other ingredients. Note: 2 eggs plus 1 Tbsp milk makes 1 ‘egg tortilla’ in an 8″ skillet. So do the math to figure out how many you’ll need to prepare to have enough tortillas. Can you make these ahead if time? Like make enough for the week on Sunday evening? And if so, how do you heat them up each morning? I would not make these egg tortillas ahead of time. I would make them when you want to eat them! Is the milk necessary? Is it more of a flavor thing or does it make the ‘tortilla’ shape possible?